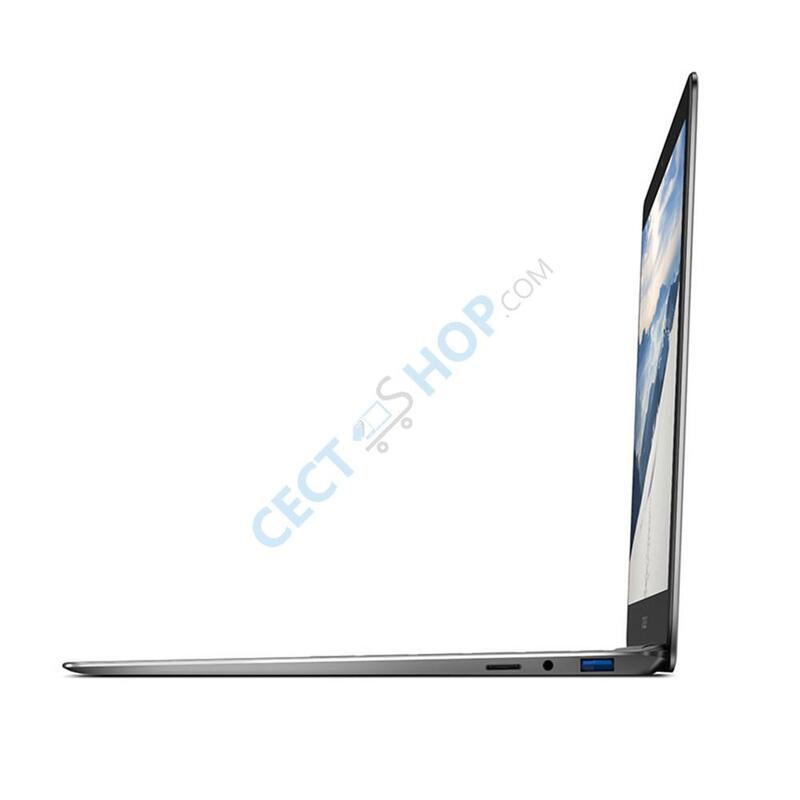 The Teclast F7 Plus is a new ultrabook with 8GB of RAM which looks similar to one of the devices from Apple at a much lower price. 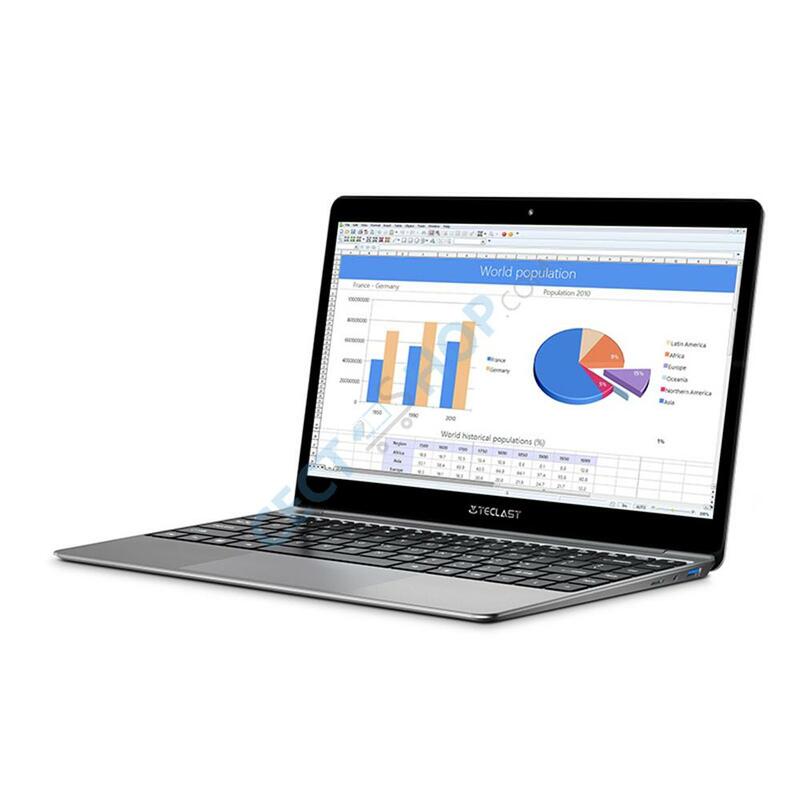 The ultra-thin 14-inch laptop is powered by a N4100 Gemini Lake processor and sports a 14-inch IPS screen. 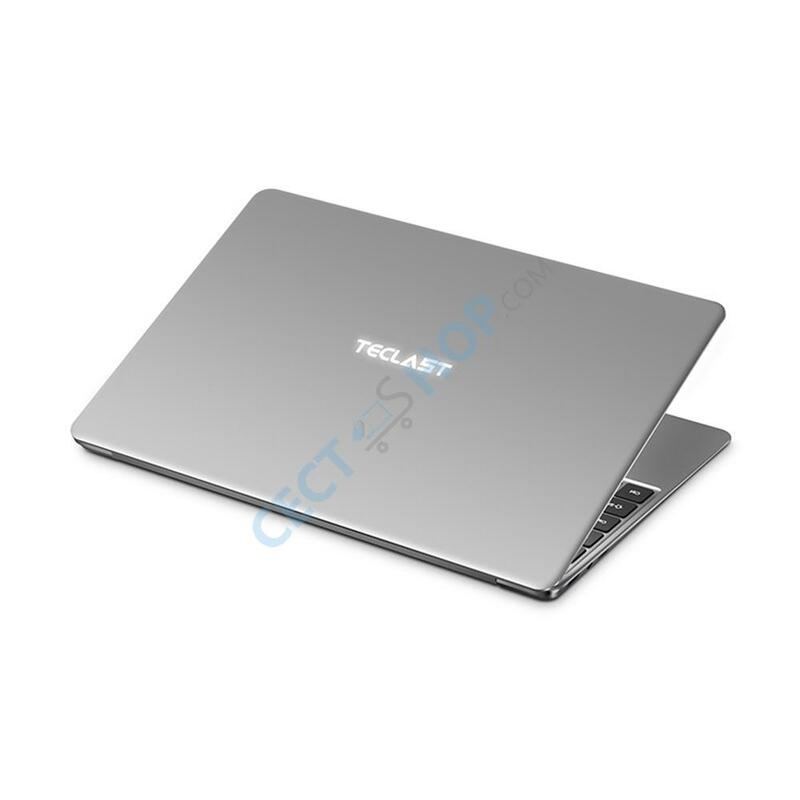 The screen of the Teclast F7 Plus notebook has a resolution of 1920 x 1080 pixels with rounded 2.5D edges. 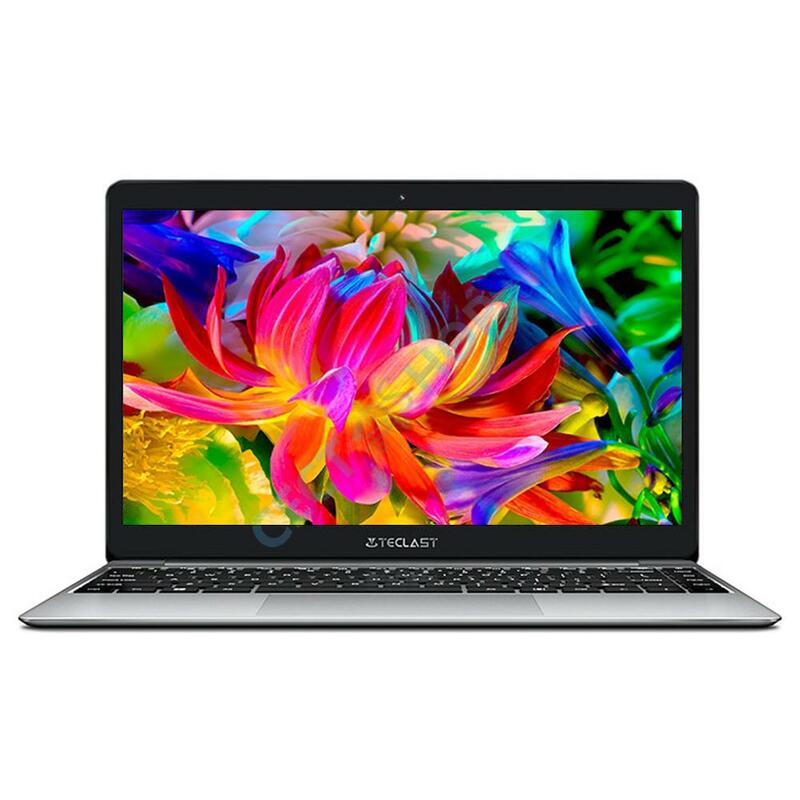 The laptop is powered by the Intel Gemini Lake N4100 quad-core chipset with a burst frequency of up to 2.2 GHz. The four CPU cores are supported by a HD Graphics 600 graphics unit. Furthermore, 128 GB SSD flash memory and 8 GB of RAM are available. 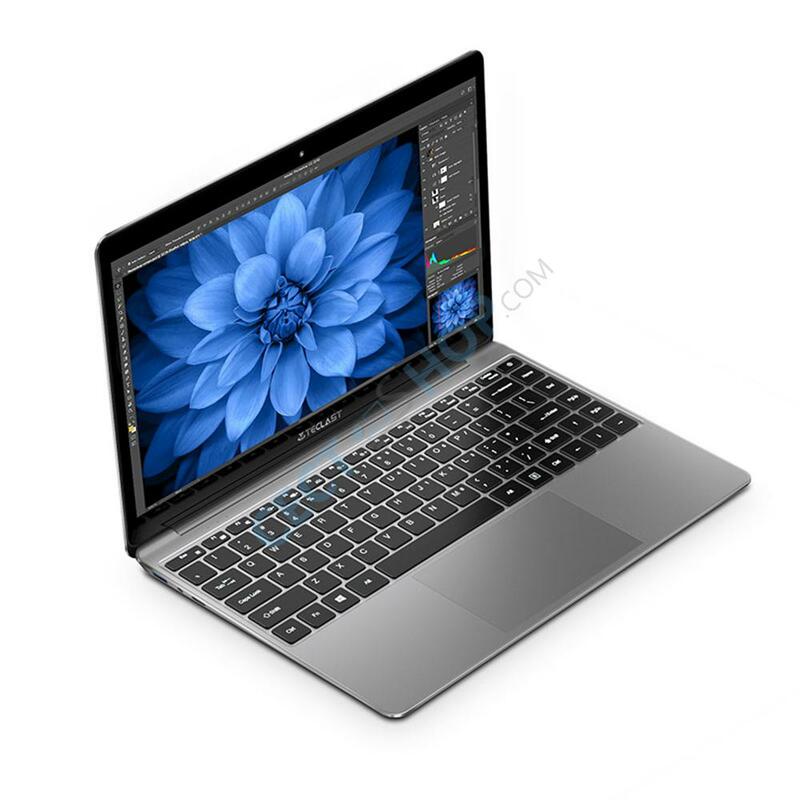 The internal memory of the Teclast F7 Plus can be expanded by a Micro SD card or a SSD with M.2 format. In terms of battery capacity, the Plus version of the Teclast laptop received an upgrade to 6500mAh. 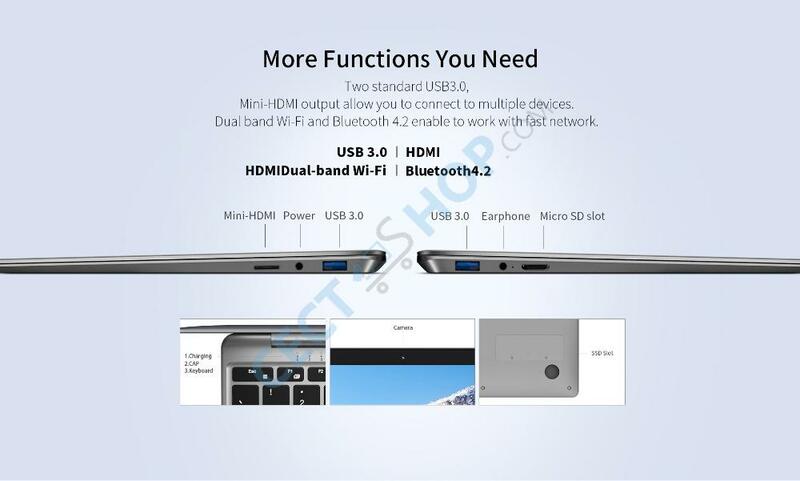 The notebook has two USB 3.0 and a 3.5 mm headphone jack. A mini HDMI port is also available. The notebook is shipped with Windows 10 Home, and you can download and install any desired language quickly and easily, in addition to the preinstalled languages. On the front is a 2.0 MP camera integrated and Wi-Fi and Bluetooth 4.2 are also supported. It has a backlit keyboard and the laptop is made of aluminum. 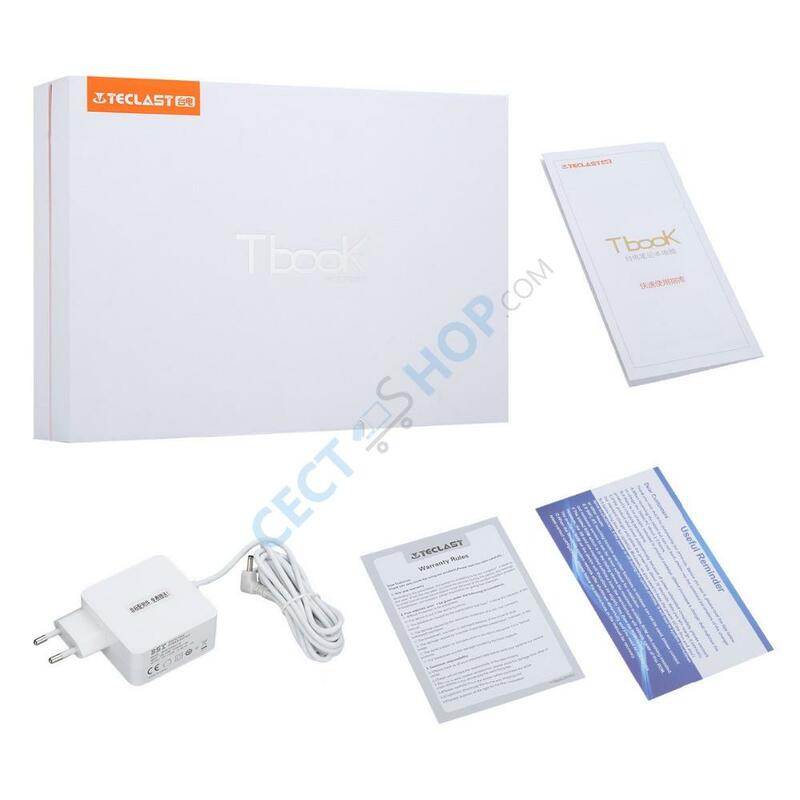 Buy Teclast F7 Plus with the latest technology and many great features now at CECT-Shop.com! Erstklassige Leistung für wenig Geld! Der Laptop fährt sehr schnell hoch und hat kurze Reaktionszeit. Das Display hat eine super Auflösung. Die Verarbeitung ist sehr hochwertig, zudem wiegt das Notebook sehr wenig und ist ansonsten sehr kompakt und schlank und somit auch einfach zu transportieren. Die Leistung für den Preis ist der absolute Hammer. Jederzeit wieder!